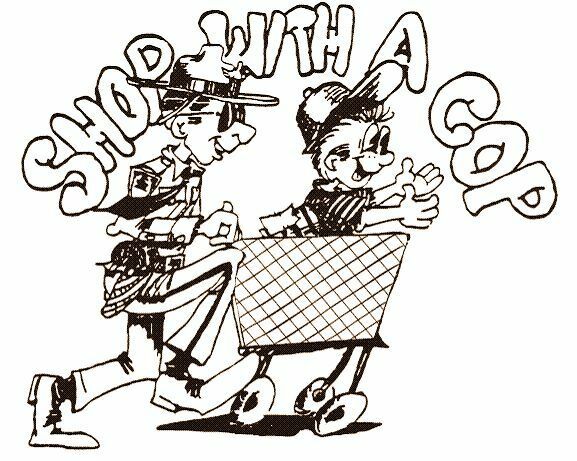 Wifestyles Blog & Photography: Shop With A Cop! My hubby made the news! I am absolutely SO proud of him and the City he works for! Every year the local cities around our community partner up with Meijer to provide toys and clothing for the less fortunate children and this year Justin got to be apart of it! He absolutely LOVED it! He said seeing all of the little kids run around smiling and so happy was the best feeling! I think it's so great that the community/police forces and Meijer provide this wonderful opportunity for the kids who don't have much. I feel like helping the needy and families that have to do with out is the most important thing about Christmas! It absolutely breaks my heart to think that children wake up Christmas morning without presents to open from Santa. So a HUGE thanks to all the amazing police officers and Meijer for helping out all these families! Very cool! Glad that your Husband was able to be apart of it! My husband did this last year and loved it! Awwww our school participates in that and we just love it! You have every right to be a proud wife!! whoohoo! So happy everything is going great! Very cool Lauren. My husband is also a peace officer so kudos to you for being so supportive of him! :) Happy Thursday Eve! I love all these "events" around christmas. happy for him he could join! This is SO awesome! I love things like this!